A veteran female team goes independent in Utah. Wells Fargo Advisors (WFC) says it recently added an advisor from Morgan Stanley (MS) and a team of two FAs from UBS (UBS) with more than $340 million in client assets. Meanwhile, Raymond James’ (RJF) employee channel picked up a group from UBS with $300 million in AUM, while its independent channel added a former Merrill Lynch (BAC) duo with some $120 million in client assets. 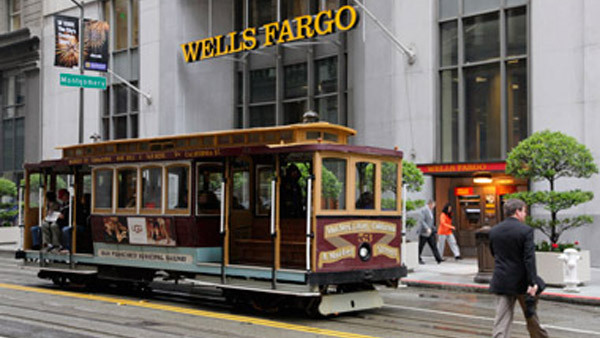 Wells Fargo announced Tuesday that the Borgfeldt Group, led by financial advisor Nick Borgfeldt, joined its branch in South Hills, Pennsylvania, from Morgan Stanley, where he managed more than $176 million in client assets. Borgfeldt has 37 years of industry experience and now reports to South Hills branch manager Troy Baer. In Greensboro, N.C., advisors Larry Pulliam and Jeff Kerrigan moved to Wells Fargo from UBS, where they managed more than $165 million in combined client assets. They team has 40 years of combined experience and reports to Greensboro complex manager William Spivey. They join with Pulliam’s son, Spencer, who plans to start Wells Fargo Advisors’ next-gen training program in September. A team of three advisors — Alex Bryan, CFP; Ryan Bartley; and Robert Torney — are now part of Raymond James & Associates, the firm’s employee unit. They moved from UBS with more than $300 million in assets and annual fees & commissions of $2.2 million. The reps will do business as Catamount Financial Advisors in Northern Vermont, where they recently opened up RJA’s first office in that part of the Northeast. Bryan began his financial services career in 1980 with E.F. Hutton, moving in 1988 to A.G. Edwards. He later joined McDonald Investments in Burlington, which was bought by UBS in 2007. Raymond James says that two female advisors moved to its independent broker-dealer in St. George, Utah, from Merrill Lynch: Kayla Koeber, CFP, CIMA; and Lori Baum. They do business as Voyager Wealth Advisors and have about $120 million in client assets. Koeber began her financial services career at Merrill Lynch in 2000 after a 20-year career in the Southern California film and TV industry. She stayed at Merrill Lynch for 15 years before joining Raymond James. In 2008, she became the first advisor in the southern Utah area to earn the certified investment management analyst designation through the Wharton School of Business, part of the University of Pennsylvania. “What tipped the scale was a trip to the home office, where we experienced Raymond James’ culture firsthand. They are not just talk – it was clear they truly put clients first, operate with integrity and focus on holistic financial planning. We felt a sense of coming home, and one month into the transition, have not had one regret about the move,” Koeber said. Baum began her financial services career in 1989 at Piper Jaffray and moved to Merrill Lynch in 1994 as a registered client associate. After working with Koeber at Merrill Lynch for 11 years, she became an advisor and full partner in the practice in 2013. — Check out How Raymond James Is Boosting Employee Advisors on ThinkAdvisor.